Thursdays will be dedicated to the better half of food – drinks. Tasty, pretty concoctions to share with friends or family, or to just hoard to yourself. 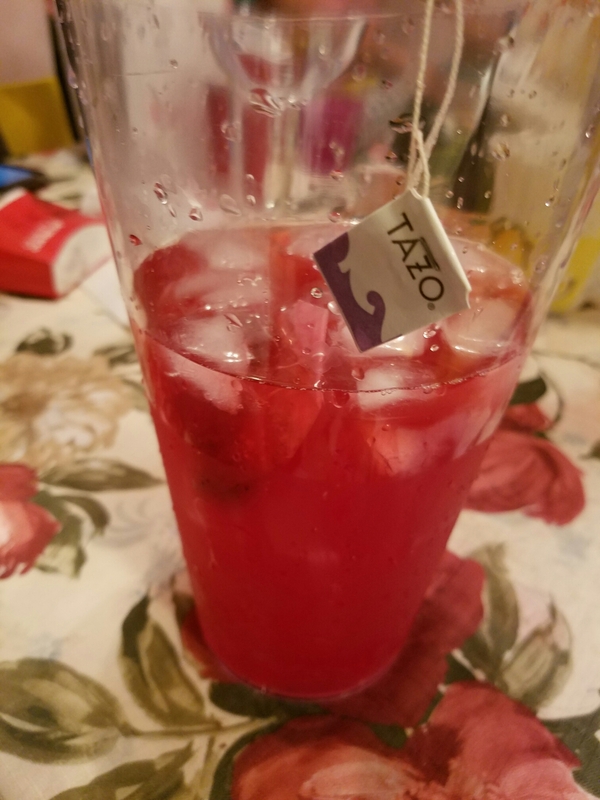 This week I’ll be featuring a family favorite: the Tazo Passionfruit Lemonade (made famous at Starbucks). My husband was the one who got me hooked on these. But even at less than $5 for a venti, it was still costing me way too much for my own good. So I started making them at home, and now I make it at every small or large get together, or even just on bright sunshiney days with the kids. It’s caffeine-free so I don’t have to worry about my kids bouncing off the walls after lunch. I mean, more so than usual. You could definitely shortcut some of these steps by just getting premade lemonade or getting the powder type & just add water. But I prefer the taste of fresh lemonade. 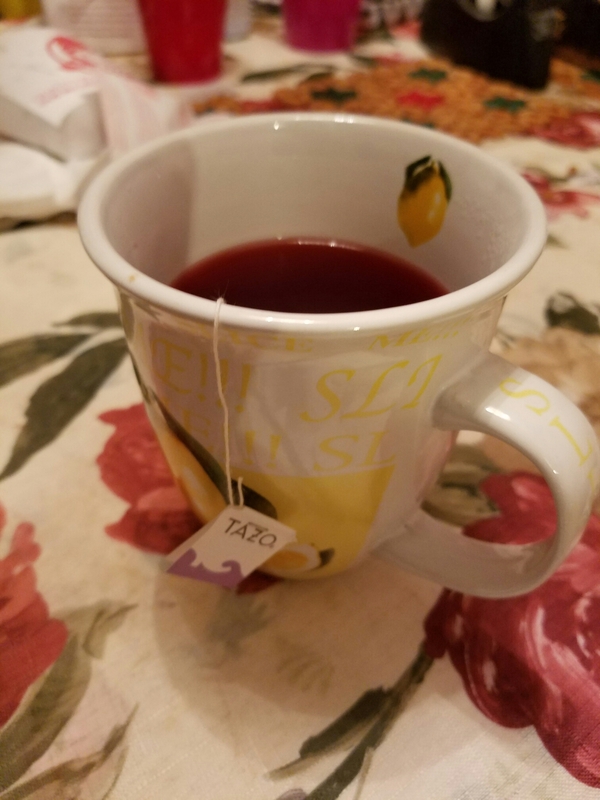 First up, I make the Passionfruit Tea. You should be able to find this at your local grocery store, but if not, you can find it here. This part is easy. Steep 2 tea bags in 2 cups of hot water. I usually let this sit for about 20 minutes. 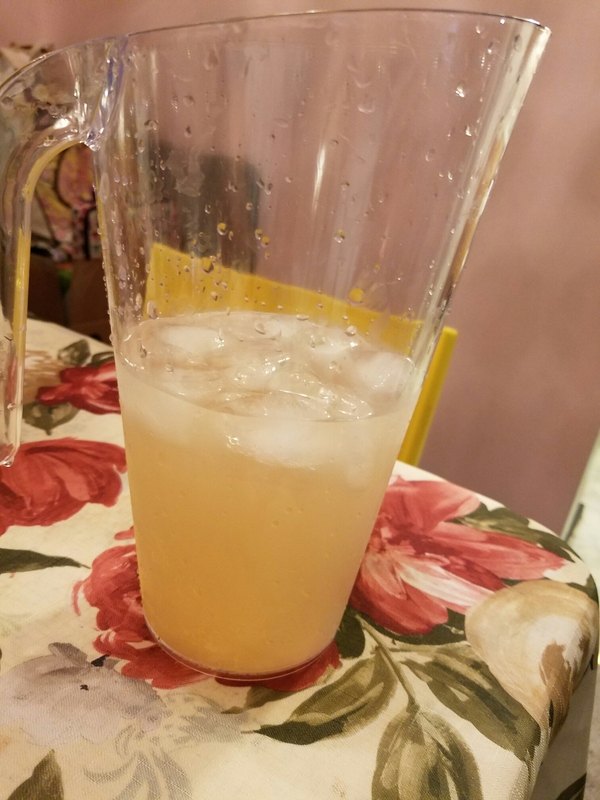 While waiting for the tea to steep, I make the lemonade. I make a simple syrup by mixing 2 tablespoons of sugar in 2 tablespoons of water over medium heat. Once fully dissolved, I then add 2 tablespoons of lemon juice and 2 cups ice cold water. Then I just put everything except the ice together! If I’m serving it right away, then I add the ice in and give it a good, gentle stir – because otherwise I spill. And the super red-pink liquid is NOT fun to drop on nice light-colored clothing. Or the counter. 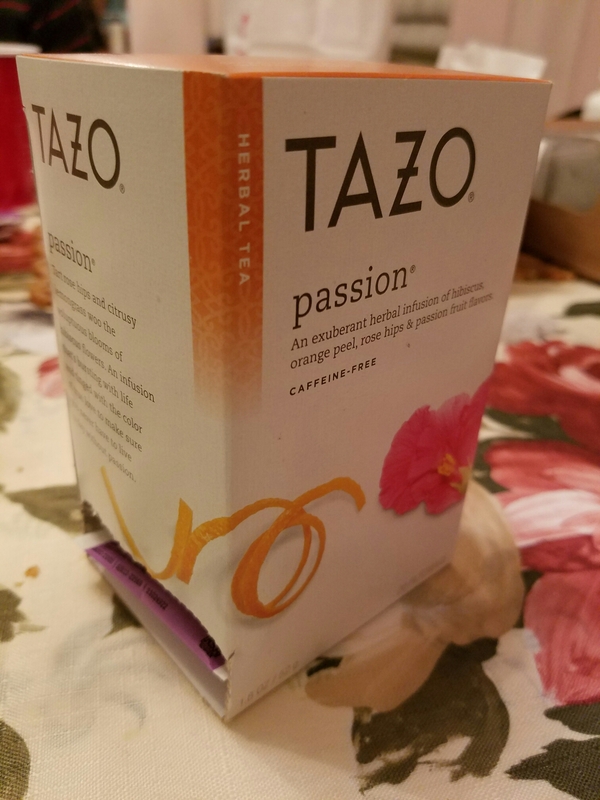 CAUTION: TAZO TEA MAY STAIN. If I’m not serving it until later in the day, however, I just pop it in the fridge BEFORE putting in the ice. I tend to make a big batch of this because measurement wise, it just makes sense. It gets too fancy to attempt making ¼ of a batch. Plus it is so popular with my family that we go through the big batch in no time! Hope you are able to try it out and enjoy it as much as we do!